The online farm shop Farmy.ch is a big hit. It connects regional producers and consumers and, thanks to sophisticated logistics, is able to deliver orders directly to the customer’s home. Alternatively, the goods can be collected from designated pick-up points at no extra cost. The startup’s monthly sales surpassed the half a million franc mark for the first time in May. 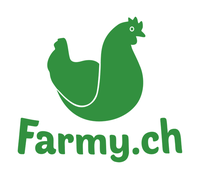 And in June, Farmy completed a round of financing worth more than CHF 5 million.